A mob of teenage girls escaped with ten purses worth $100,000 from a luxurious boutique near the Magnificent Mile on Monday afternoon, police said. No one is in custody. 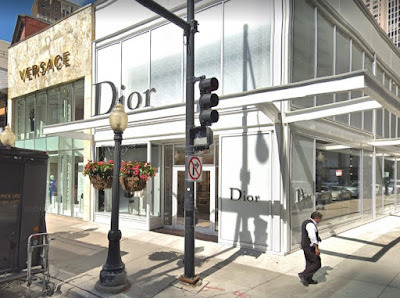 Police were told that four girls between 14- and 17-years-old entered Christian Dior, 931 North Rush, around 1:30 p.m. and took the handbags from shelves before heading for the exit. When two employees confronted the girls, the teens threatened to pepper-spray the workers and then ran to a nearby car. Witnesses said the car, a black 1998 Ford Mustang, fled northbound on Rush and then west on Oak Street with two men inside. The girls were last seen running south on Rush Street. According to witnesses, the girls were black and one of them wore a white scarf wrapped around her face and neck. Another wore an orange top with blue jeans. And another wore a light blue jacket with black pants. Three of the girls wore their hair in buns, police said. High-ticket shopliftings are not uncommon in the area of Monday's heist. 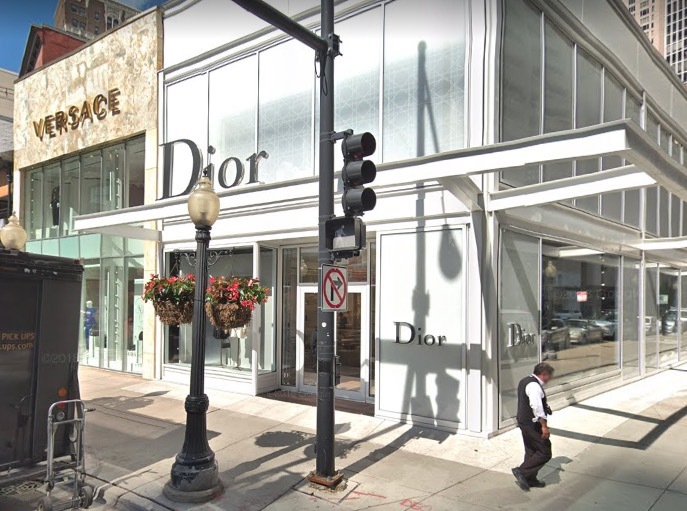 Last November, a 19-year-old man was charged with stealing two purses worth $6,600 from a Versace store that neighbors Christian Dior. In June, three women pepper-sprayed the staff during a robbery at the Yves Saint Laurent store at 11 East Walton. Police said $12,000 worth of purses were taken in the crime. On April 1st, a shoplifting mob took an estimated $25,000 worth of purses from Barney's New York, 15 West Oak Street, according to police.